Follow RT on the latest news and updates on relations between US President Donald Trump and North Korean leader Kim Jong-un. There has been a history of increasing political conflict between the US and North Korea, where in 2017 North Korea was allegedly testing its first hydrogen bomb and ICBM. 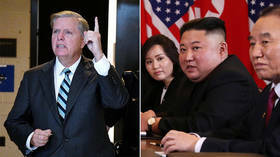 That was followed by a de-escalation of the relationship between the two countries, as well as between Donald Trump and Kim Jong-un, after Kim decided to send North Korean athletes to the 2018 Olympics in South Korea. 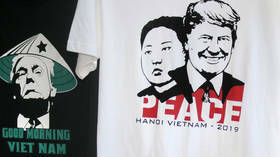 However, Kim and Trump had difficulty in finding a compromise, as the US held joint military exercises with South Korea. Find news and articles on disagreements between Trump and Kim during that period. 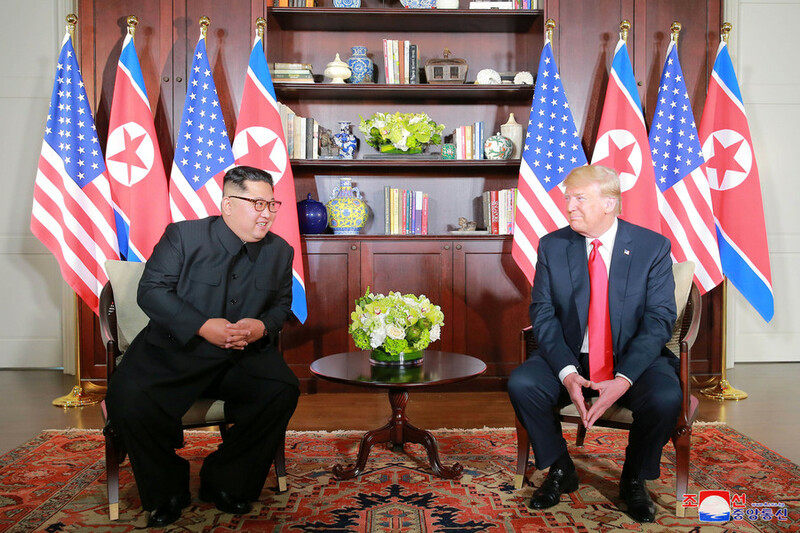 However, on June 12, 2018 Kim Jong-un and Donald Trump finally met in a first summit meeting, which took place in Singapore. At the meeting, Trump and Kim decided to open a new chapter in the relationship between their states. North Korean media stated that there was a prospect for establishment of "a new relationship" with the US. Get the news and stories on the Trump-Kim summit, and don't miss the news and updates on the further development of relations between Donald Trump and Kim Jong-un.